Virtual exchanges are technology-enabled, sustained, people-to-people education programs. Developed over the past 30 years from experience in the field of educational exchange and study abroad – and evolving rapidly with the explosive growth in new media technologies and platforms – virtual exchanges have been integrated at all levels of education from kindergarten through university and are distinctive in their use of new media platforms to enable deep, interactive, social learning. By employing a wide variety of technologies and educational pedagogy, virtual exchanges make it possible for every young person to access high-quality international and cross-cultural education. Virtual exchanges function in a synergistic and complementary way with physical exchange programs. They can prepare, deepen and extend physical exchanges, and, by reaching new populations and larger numbers, fuel new demand for physical exchange. Students tackle the Euro(pean) crisis through Sharing Perspectives Foundation. Learn about Soliya’s Connect Program in Egypt's Nile River delta. Qatar Foundation International (QFI) students collaborate virtually to solve environmental issues. iEARN's Finding Solutions to Hunger Project. Global Nomads Group connects Afghan and US students on civil rights dialogue. The world is increasingly interdependent. The next generation will have to address major global challenges, virtually all of which require multi-lateral and cross-cultural cooperation, while trying to secure jobs in an increasingly diverse and globalized workforce. Education exchanges and study abroad programs are among the best means to prepare young people for such a world- increasing their inclination and capacity to deal effectively with difference and to communicate and collaborate across cultures. But fewer than 1% of young people participate in international exchange programs. 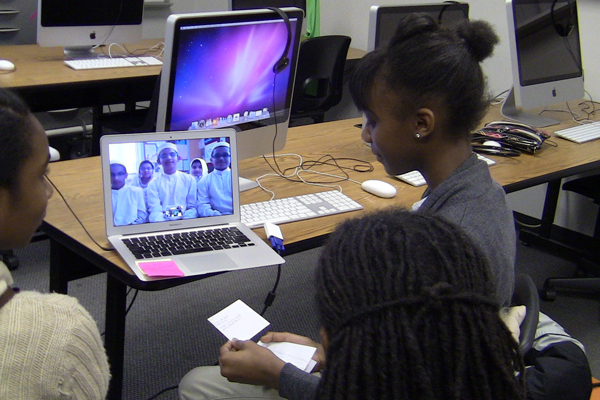 Virtual exchanges make it possible for every young person to access high-quality international cross-cultural education. The Virtual Exchange Coalition and the Saxelab Social Cognitive Neuroscience Laboratory at MIT are working together to identify and establish evaluation tools to measure attitude changes and skill-development that young people can achieve through virtual exchange. Our hope is to not only demonstrate the impact of innovative programs but also help professionalize this growing field – fostering the emergence of best practices, as well as establishing basis for comparative evaluation across diverse models. 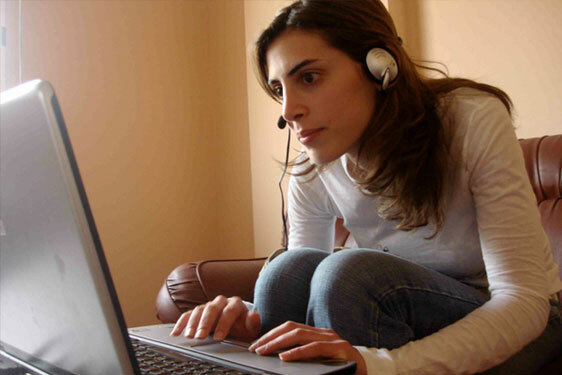 Through testing among virtual exchange participants and matched control groups, Saxelab evaluations have already demonstrated that virtual exchange programs can increase participants’ empathy for other cultures and perspectives, develop their willingness to engage constructively with peers of diverse backgrounds and views, and provide participants with the experience of being heard and respected. We encourage virtual exchange practitioners to adapt these tools for your own programming! Click Here to learn more about the Saxelab tools. As the effort to develop objective measures of educational impact continues, there remains great value in listening to the perspective of educators and youth who implement and participate in virtual exchange. Featured here are testimonials from educators and young alumni on the impact of different virtual exchange programs. The Connect Program is Soliya’s semester-long, web-based, cross-cultural dialogue and education program. Participants meet with online for two-hour sessions each week for a period of eight weeks in multicultural dialogue groups of 8-10 students, under the guidance of 2 Soliya-trained volunteer facilitators. This experience offers young people—particularly those unable to participate in physical exchange or study abroad programs—the opportunity to engage one another in a safe, open environment. The University of Northern Colorado and Soliya began partnering in 2008. 70 students from the University of Northern Colorado have participated in the Connect Program to date. 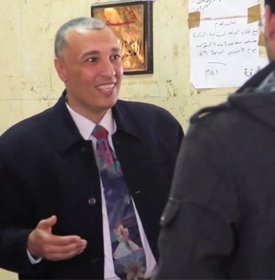 Professor Osama Madany describes his search for a program to expose his students to the outside world. This fall, 40 students from Menoufia University will participate in Soliya’s Connect Program. 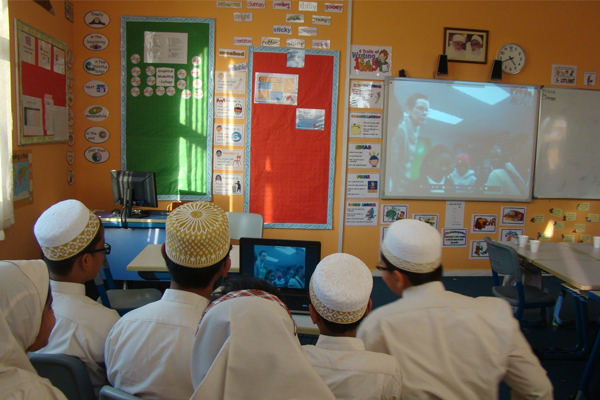 As part of the Connecting Cultures, Exploring Science: Road to Doha program, run in partnership by Global Nomads Group and Qatar Foundation International, the Musab Bin Omair Independent Secondary School connected with peers in the US via interactive videoconferencing, youth-led media projects, and climate change curricula to explore environmental issues and cultural exchange. Students also created and led public webcasts on climate change issues, writing the script, facilitating a panel of guest speakers, and speaking out to motivate peers around the world to take action. Professor Randall Bass discusses Virtual Exchange as a signature pedagogy of education, while Georgetown students reflect on the impact of their Soliya experiences. 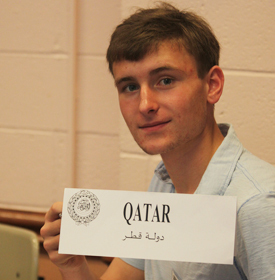 Founded by students at the University of Pennsylvania in 2009, Dorm Room Diplomacy fosters intercultural dialogue and mutual understanding among an international group of university students. 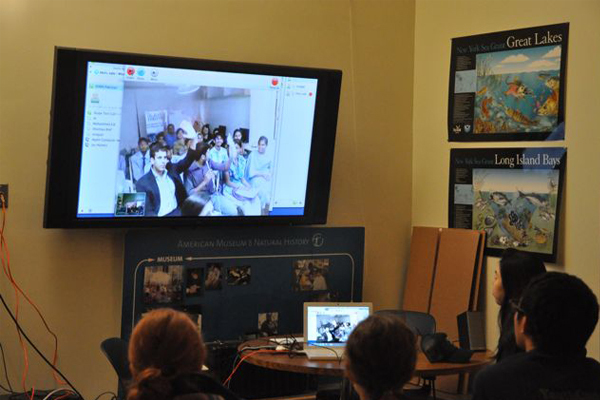 Dorm Room Diplomacy employs videoconference technology to facilitate virtual exchanges that help students to see the individuals behind reductionist cultural stereotypes. The videoconference program occurs each academic semester, and the same set of 8 students join in a virtual dialogue with a trained facilitator each week. Dorm Room Diplomacy is entirely student-run, encouraging students to take ownership over the dialogue process, establish campus chapters, and empower themselves and their peers. iEARN (International Education and Resource Network) is the world’s largest non-profit global network that enables teachers and youth to use the Internet and other technologies to collaborate on projects that enhance learning and make a difference in the world. 60 students from the Lahore University of Management Sciences have participated in the Connect Program since Fall 2011. The Connect Program is Soliya’s semester-long, web-based, cross-cultural dialogue and education program, which has been integrated into the curricula of accredited courses at more than 100 universities, spanning 27 countries. 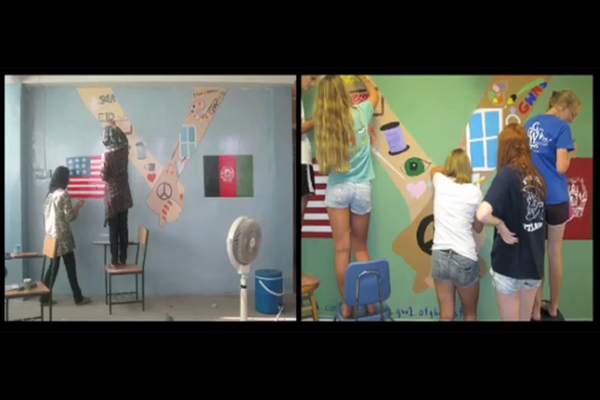 Students develop intercultural-awareness and the ability to think critically around global issues. They grow genuine relationships that cross borders, and they build essential skills for the 21st century workplace. GNG reestablished connection in a second videoconference weeks after the Bush administration declared an end to major combat in Iraq in June 2003, giving these young people the chance to re-connect and continue deepening dialogue. Ten years later, in March 2013, GNG brought the same Iraqi and American participants together in person to GNG’s New York City office, to reconnect and discuss the impact of their interactions on their lives’ trajectory and world views. Youth Allied to Learn, Lead and Help (YALLAH) is an online forum for Qatar Foundation International’s educational programs, through which students and alumni join together for student-driven and expert-facilitated discussions on pertinent global topics and organize community service projects to benefit others. YALLAH uses a multi-lingual online space for cross-cultural collaboration where QFI can create new opportunities for engagement in our middle and high school-focused student and teacher programs. The forum serves as a resource for students to discuss social and cultural issues. Public diplomacy has long pursued the transformative potential of new technologies. Likewise, educational leaders have long realized the importance of travel and exchange. Virtual exchange is the merging of these two efforts. Twenty-five years ago, the International Education and Resource Network (iEARN) was among the first organizations to pioneer educational virtual exchanges. In 1988, iEARN used cutting-edge technology to link educators and students with their peers both within and across societies. Other initiatives have followed suit, rapidly evolving to harness the explosion of new media technologies. When leaders in the emerging field (Global Nomads Group, iEARN-USA, and Soliya, among others) formed the Exchange 2.0 Coalition, they recognized virtual exchange as a distinctive field, critical to any 21st Century education. This movement is gaining momentum. Founded in 2011, the Virtual Exchange Coalition comprises diverse practitioners working together to foster a more supportive and generative ecosystem for virtual exchange programming to develop, innovate and grow. Our goal is to make it possible for all young people to have a meaningful cross-cultural experience as part of their education. Virtual Exchange Coalition Champions have provided crucial support in the form of convening power, advocacy, strategic thought-partnership, and/or financial and in-kind support. Implements exchange programs that blend both virtual and physical exchange formats, supports diverse virtual exchange programming as well as the development of evaluation tools to gauge the impact of virtual exchange programs, and was among the first supporters of the Virtual Exchange Coalition. Co-developed and published a Special Report on Virtual Exchange (or “Exchange 2.0”), has organized multiple high-level conferences that convened policy makers, private sector leadership, and thought-leaders in international education and conflict resolution, and has supported the development of evaluation tools to gauge the impact of virtual exchange programs. A longtime supporter of virtual exchange programming through its support to Global Nomads Group, and has provided funding to support the development of a major multi-lateral, public-private sector virtual exchange initiative as well as the development of science-based evaluation tools for virtual exchange. Early and consistent supporter of virtual exchange programs through support to Soliya and funding to support the initial development of - and outreach for - the Virtual Exchange Coalition. Among the earliest supporters of the Virtual Exchange Coalition, hosting early working round-tables, to raise the profile of virtual exchange programming and supporting outreach to key constituencies across the Middle East and North Africa, as well as the U.S. Established by the family of slain U.S. Ambassador to Libya, J. Christopher Stevens. The Fund has led the development of a major multi-lateral, public-private sector virtual exchange initiative, which is to be launched later in 2013 and bearing the name of Ambassador Stevens. Officially endorsed virtual exchange programming in communique sent to every Minister of Education in LAS member states in September 2011. Pioneering and refining measurement tools to assess the educational impact of virtual exchange. The first substantial financial supporter of the Exchange 2.0 Campaign and has hosted multiple early-stage events that convened and helped to secure the support of key stakeholders and partners. Want to be featured on the Virtual Exchange Coalition website and help us grow the field? We invite virtual exchange practitioners to apply here to join the Coalition. Applications are reviewed quarterly. Your application will be assessed by a committee of educators, who will compare your program model to the definition of virtual exchange: technology-enabled, sustained, people-to-people education programs. 1. Please review the Virtual Exchange Expanded Definition, which explores in further detail key elements of virtual exchanges and will serve as assessment criteria for the educators reviewing applications. 2. Then, complete the application form. We encourage you to address relevant themes in the Expanded Definition while highlighting the unique aspects of your program. What can we tell you about Virtual Exchange? Please fill out the form fields below. Soliya Fellows at the 2012 Soliya Summit in Jordan prepare to record interviews with their communities to share with the Soliya Network Community. 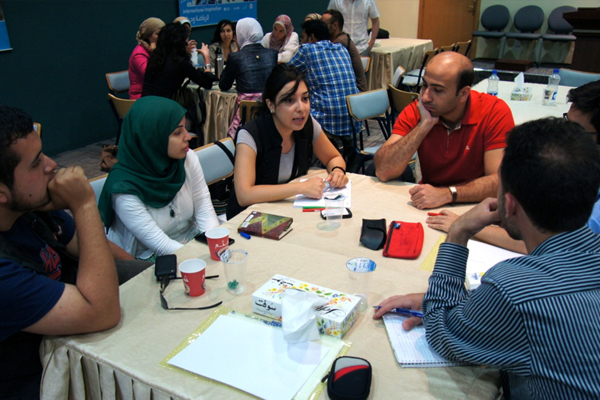 Soliya Fellows at the 2012 Soliya Summit in Jordan discuss virtual exchange, online learning, and community exploration. After participating in an online community fellowship with facilitation and media training, select Soliya fellows were invited to an in-person summit to meet their co-fellows in person and share ideas. 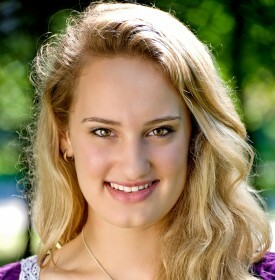 Joelle participated in the Soliya Connect Program, a virtual exchange program that brings together students from around the world into an online platform where they can discuss current events, cultural affairs, and expand their worldview by interacting with their peers in foreign countries. 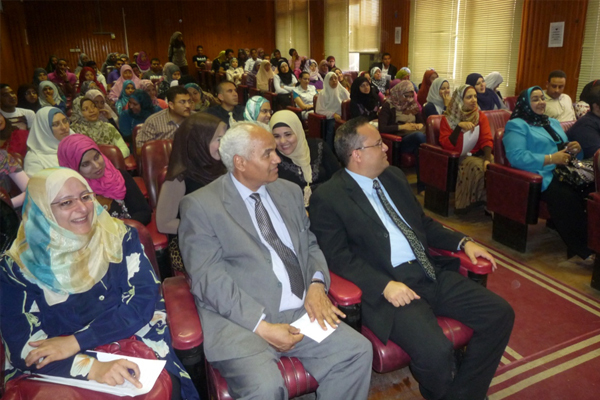 Participants and professors at Menoufiya University in Egypt gather to learn about and discuss the Soliya Connect Program and meet Soliya’s CEO, Shamil Idriss. Hindi Language Study Exchange between USA and India. A partnership with the Edison School District in New Jersey to enhance its existing language programs to include Hindi as an option for students in the district. 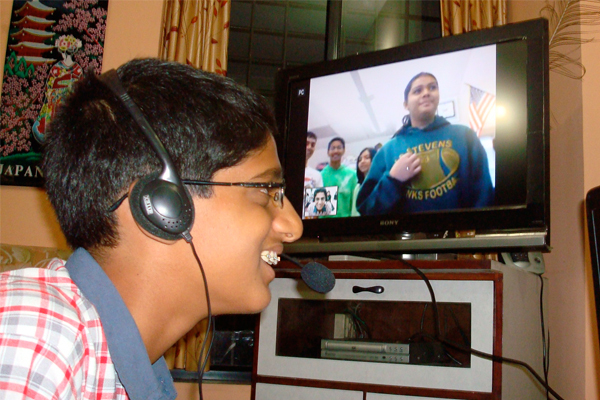 The partnership enabled NJ students and teachers to utilize iEARN’s network and Collaboration Centre for language learning and cross-cultural exchange with native Hindi speakers in India. Virtual exchanges are technology-enabled, sustained, people-to-people education programs. While new media technologies are often used for either superficial social interaction or intensely polarizing political display, virtual exchanges use the same technologies to build mutually affirming relationships and foster constructive and meaningful dialogue among youth. Employing a wide variety of platforms and educational pedagogy, virtual exchanges teach participants 21st century skills that prepare them to more effectively deal with difference and to collaborate and communicate across cultures, thereby enhancing global peace and prosperity. While physical exchange programs, including study abroad, have long provided important educational experiences, those opportunities have only been accessible to a privileged few. The costs and logistical challenges of such programs prevent this model from reaching a broader set of students. Less than 2% of American college students study abroad, and those who study abroad often choose to study where there is less need for increased cultural understanding: 54% of Americans who study abroad go to Europe, while only 2% go to the Middle East. While Middle Eastern students who study abroad are likely to come to the United States, only 3% of higher education students in the Middle East study overseas. By using low-cost, high-impact technology, virtual exchange makes it possible for every young person to access high-quality international and cross-cultural education, and it enables deep and meaningful exchange where it is most needed. Developed over the past 30 years based on experiences in educational exchange and study abroad, virtual exchange programs are providing opportunities for students ranging from kindergarten through college. It is critical that we provide vastly more young adults with the skills they need to participate in the global economy, and, given the current economic climate, we must develop models that are less costly without sacrificing impact. The Exchange 2.0 Coalition has partnered with the Saxelab Social Cognitive Neuroscience Laboratory at the Massachusetts Institute of Technology (MIT) in order to establish evidence-based measures of educational impact. Currently, the Coalition and Saxelab are developing tools to measure the impact of virtual exchange programs. Following successful evaluation, these evidence-based measurement tools will be made freely available for adoption by organizations that run people-to-people education and exchange programs. Less than 2% of Americans enrolled in higher education study abroad each year. Less than 2% of students in most European countries study abroad. Only 3% of higher education students from the Middle East study overseas. Only 11.7% of American students who studied abroad in 2010-2011 were Black or Hispanic. Only 0.2% of students who were pursuing an Associate’s degree in 2010-2011 studied abroad. The most popular region for American students is Europe and the least popular regions are the Middle East and North Africa. Only 2% of American students go to the Middle East. Only 4% of the U.S. higher education population are international students. 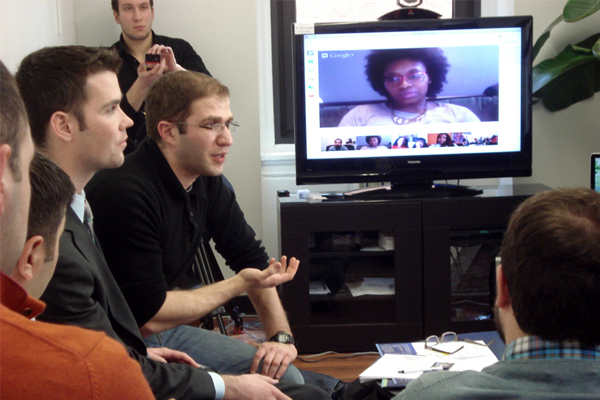 In 2009, Soliya, Global Nomads Group, and iEARN-USA came together to form the Exchange 2.0 Coalition with the goal of making it the norm for young people—of all socioeconomic and geographic backgrounds—to have meaningful cross-cultural interactions throughout the course of their K-12 and postsecondary education. These founding organizations all leverage new media technologies to expand access to high-quality, deep social learning across cultures. Recognizing that there is a growing number of new entrants to this field, the Coalition’s purpose is to foster a more supportive and generative ecosystem for such programming to develop, innovate and grow. Soliya: Soliya integrates virtual exchange programming at higher education institutions across the U.S., Europe, and Muslim-majority countries worldwide. Since 2003, Soliya’s flagship program, The Connect Program, has been implemented in over 100 universities in 27 countries. Many participants continue on to participate in Soliya’s virtual exchange facilitation training. In the spring of 2008, associate professor Michael Kimball brought the Soliya Connect Program to his students at the University of Northern Colorado, where there is a large number of first generation college students who “often come to college ill-equipped to recognize its potential to change their own lives, never mind the world,” according to Dr. Kimball. For many of these students, studying abroad isn’t even considered a possibility. But, since 2008, Soliya has already enabled 70 University of Northern Colorado students to engage with peers in places like Tunisia, Egypt, Morocco, Pakistan, and the Netherlands. “It gave us the opportunity to tear down the barriers that keep us from learning what is really going on. It was like dry footage. I loved talking to the people in my group every week. 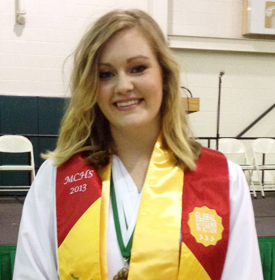 It gave me an experience and a life-long understanding,” said one of Kimball’s students. Global Nomads Group: Global Nomads Group (GNG) fosters dialogue and understanding among the world’s youth by engaging and empowering young people worldwide using media including interactive videoconferencing, webcasting, social networking, gaming, and participatory filmmaking. For over 15 years, GNG has conducted projects with 7th-12th grade students in more than 50 countries and has reached over one million young people. Innovative educators across the world integrate GNG’s programs into their classrooms to expand 21st century learning opportunities in their schools. iEARN-USA: iEARN-USA: iEARN (International Education and Resource Network) provides K-12 educators with the digital and curricular tools to create and collaborate on meaningful global projects that enhance students’ classroom learning, including their understanding of geography, history, language, and other cultures. Since its start in 1988, iEARN has grown into a network of over 50,000 educators and 30,000 schools and youth organizations in more than 140 countries. 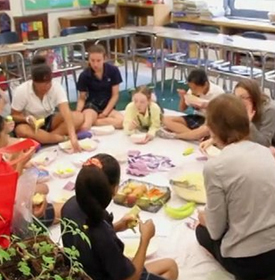 In the United States, over 3,000 teachers are integrating iEARN’s Common Core aligned curriculum and project plans into their classroom, and are leveraging interactive technologies to connect with other iEARN teachers and classes across the country and the world. For example, Deanne McBeath, a technology teacher for Village Charter School in Trenton, NJ, is teaching her students the fundamentals of technology through a project on world hunger. In any given class, her students can been found Skyping with a food transporter in North Carolina, chatting with peers in Nigeria, manipulating Excel spreadsheets that are keeping track of calories, or designing an animated video that will be used to educate their classmates on the state of global hunger. Through technology-integrated lesson plans, iEARN is helping teachers expand their students’ cross-cultural understanding all while supporting standards-based learning. 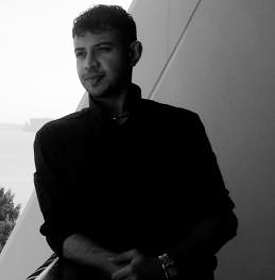 Shamil served as Executive Director of the Alliance of Civilizations Media Fund which merged with Soliya in 2009. Prior to that, Shamil was appointed Deputy Director of the UN Alliance of Civilizations by Secretary-General Kofi Annan in 2005 and continues to serve as Senior Advisor to the initiative. 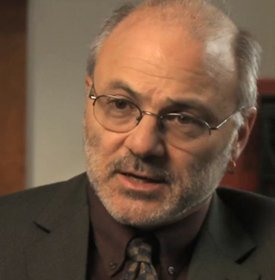 From 2000-2004, he served as Chief Operating Officer of Search for Common Ground (SFCG), a leading conflict resolution organization with offices in 17 countries. He has extensive experience in developing international and regional networks. 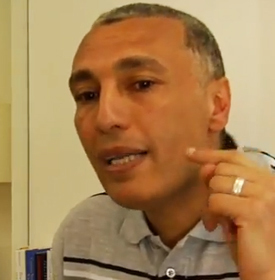 Shamil serves on the Board of SFCG and was Chairman of the Board of Soliya from 2003-2009. 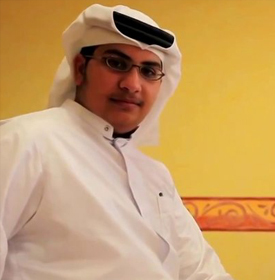 He is a member of the Muslim Leaders of Tomorrow network of the ASMA Society and the Young Global Leaders network of the World Economic Forum. Chris Plutte, Co-Founder and Executive Director, Global Nomads Group: Chris has more than a decade of experience in media development and conflict resolution management. 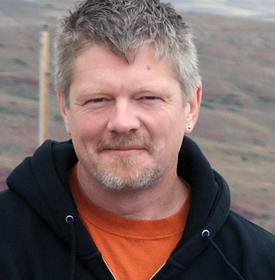 Chris rejoined Global Nomads Group (GNG) in 2010 as Executive Director, where he previously led the organization as one of the original founders. Prior to rejoining GNG, Chris opened and directed all of Search for Common Ground’s programs in Rwanda and cross border initiatives in the Great Lakes Region. During his time in Rwanda he introduced innovative programs for peace building using technology in the classroom and secured new funding for program growth and expansion. Chris frequently speaks on media, youth and conflict and has his work with GNG has been featured in outlets such as The Today Show, CNN, NPR, Education Week and Chronicles of Philanthropy. Chris received his BA in International Communications from the American University of Paris. 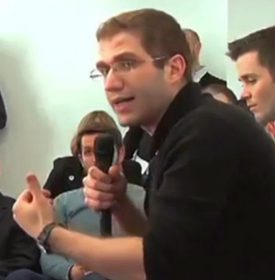 He is currently a Pahara Fellow at the Aspen Institute. Daniel Rosenblum, Executive Director, iEARN-USA: A former journalist with broad international experience, Daniel assumed his role as Executive Director of iEARN-USA in May 2013. Previously, he was Vice President, External Relations of Japan Society, a cultural nonprofit in New York focused on U.S.-Japan relations. At the Society, he helped create and launch the U.S.-Japan Innovators Network, a multi-disciplinary network of emerging and established social entrepreneurs, business people, artists, educators and other leaders from Japan and the United States committed to creating a better world. Before joining the Society, Rosenblum worked as a journalist for 16 years, including 13 years as a financial correspondent and television producer with Reuters in Tokyo, Hong Kong, London, Washington and New York. A graduate of Oberlin College in Ohio, he holds a BA in Japanese language and literature. Rosenblum spent his first 12 years abroad, living in Mexico City and Tokyo, where he attended the Nishimachi International School. Lisa Jobson, Chief Program Officer, iEARN-USA: Prior to joining iEARN in 1997, Lisa was a high school history teacher in Providence, Rhode Island, and then Mmabatho, South Africa. 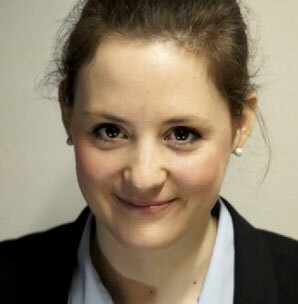 She has held numerous roles at iEARN-USA, including Assistant Director and Executive Director. 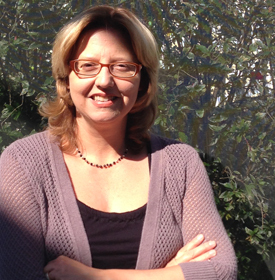 Now based in San Francisco, Lisa serves as Chief Program Officer for iEARN-USA. In addition to overseeing program and technology implementation, strategy, and new initiatives, she also helped to launch and manages iEARN’s Adobe Youth Voices partnership, a program of the Adobe Foundation. Lisa grew up in Knoxville, Tennessee. She holds a BA from Brown University, and an MA from Teachers College, Columbia University, with a focus in International Policy Studies. Are you an organization that conducts virtual exchange? Do you want to be featured on the Exchange 2.0 website and help grow the field of virtual exchange by demonstrating the breadth and diversity of programs and program models? Read on! We invite organizations that offer virtual exchange programming to apply to be featured on the Exchange 2.0 website. Your application will be assessed by a committee of educators, who will compare your program model to the definition of virtual exchange: technology-enabled, sustained, people-to-people education programs. 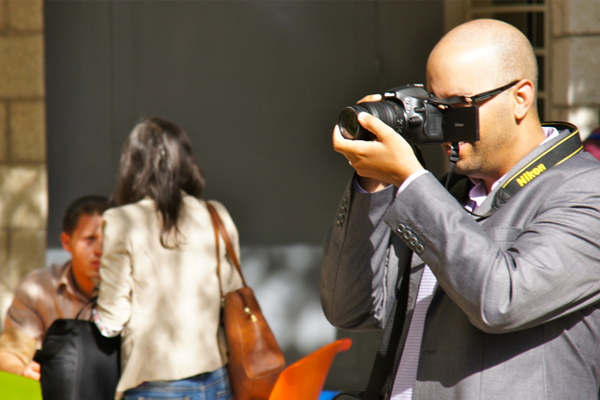 If approved, your organization will be listed on the site as a “Virtual Exchange Practitioner,” and you will be invited to submit video, media coverage, and testimonial content to highlight your work. 1. Please review the virtual exchange Expanded Definition resource, which explores in further detail key elements of virtual exchanges and will serve as assessment criteria for the educators reviewing applications. 2. Then, complete the application form, which is located in the main “Get Involved” section under the text, “Are you a virtual exchange practitioner?” We encourage you to address relevant themes in the Expanded Definition resource while highlighting the unique aspects of your program. ©2019 Virtual Exchange Coalition. All rights reserved.